COSTA CAREYES, Costalegre – Tucked away in a private cove along Mexico’s undulating Pacific Coast is a secret hideaway that for more than three decades has enchanted discerning travelers seeking ultra-chic yet low key beach vacations. 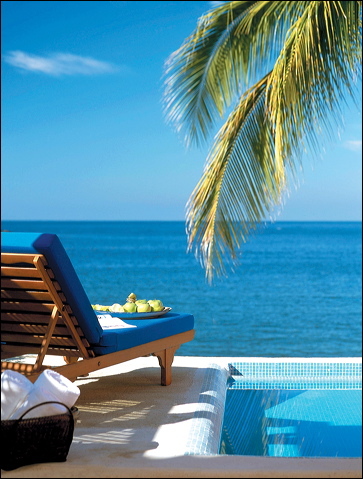 For years, the name El Careyes Beach Resort was uttered with hushed tones among Hollywood royalty and the jet set crowd. Now, recently relaunched as an independent hotel, the resort which was built in 1968 like a candy-colored Mediterranean village is bringing laidback luxury to the entire family. El Careyes, named after the turtle species that reside in a nearby marine sanctuary, lies along a 200-km stretch of craggy Pacific coastal Mexico between Puerto Vallarta and Manzanillo, known as the Costalegre, or “happy coast”. Remodeled in 2001, the 48-room resort recently stuck out on its own after more than five years as part of the Starwood Luxury Collection of elite worldwide properties. Shrouded by thick tropical jungle, the colorful Mediterranean-inspired buildings topped with traditional red tile roofs form a horseshoe around a serpentine infinity-edge swimming pool that snakes around a wide stone patio overlooking a golden sand beach. Ocean adventurers delight in sea kayaking, snorkeling, sailing and deep sea fishing, while land-lubbers explore the unique ecological zone on mountain bike, horseback or hiking excursions. Sports lovers also enjoy a tennis match, and championship golf just a short drive away. Contemporary Mexican décor compliments cozy guest rooms, which feature cool tile floors, colorful textiles adorning beds and sofas, an artwork collected from around the country. Many suites also boast open terraces with flower-strewn private Jacuzzi tubs overlooking the stunning cove where pelicans dive for their evening supper at dusk. Unmatched congenial service extends from the open air lobby, where check-in includes an icy, fresh welcome cocktail, to La Lantana poolside restaurant, where the atmosphere shifts seamlessly from casual beach to fine dining among intimate elegance once the sun sets on the ocean. Jewel-toned couches covered with pillows provide strategic sunset vantage points, and are an ideal place to start the evening with an aperitif or end the day with a night cap cocktail. •Family Escape—Enjoy a relaxing 3-night stay starting from $724 USD. Enjoy 20 percent off at La Lantana restaurant, daily American breakfast, and 10 percent off at the spa (massages not included) as well as a special welcome pack that includes a T-shirt, camera and soft toy. Two children under 11 years of age stay free when sharing their parents’ room. Rate does not include taxes and tips. 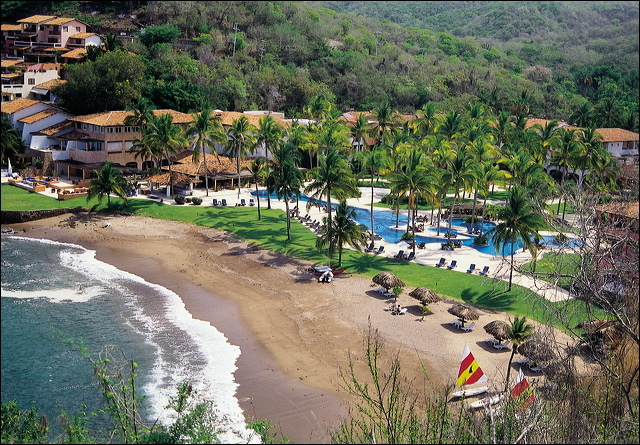 •Careyes Splash—Adventure lovers, get your adrenaline pumping with a 4-night stay, starting from $1,346 USD. Package includes one hour of sea kayaking, a two-hour snorkeling excursion, one hour of horseback riding, and a welcome amenity package from El Careyes that includes a T-shirt, camera and soft toy. Rate does not include taxes and tips. 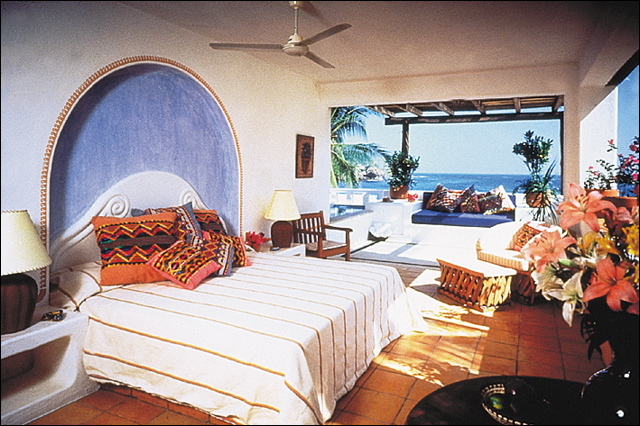 •Careyes Romance—Slip into a romantic mood with a 3-night stay in a junior ocean view suite for $1,309 USD (taxes and tips included). Includes daily American breakfast and a gourmet dinner at La Lantana with a bottle of wine, and use of all Careyes services, from the games room, to tennis courts, Jacuzzi, steam room and sauna. El Careyes is a member of Mexico Boutique Hotels, a carefully chosen collection of the most stylish and supremely comfortable small luxury hotels in Mexico. 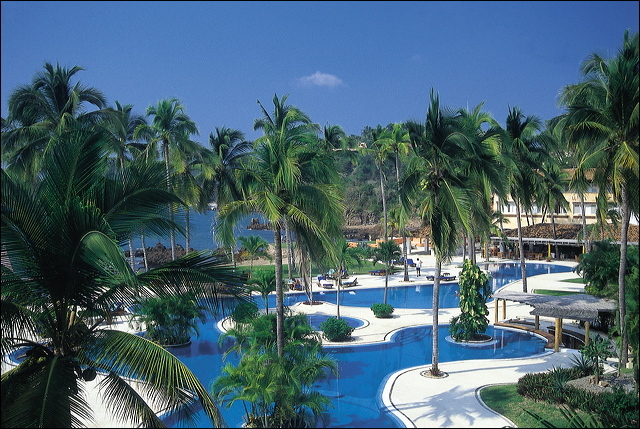 For more information and reservations call 800-728-9098 or visit www.mexicoboutiquehotels.com/thecareyes/. Previous PostOn the Fence?Next PostWhat’s with the Bull?